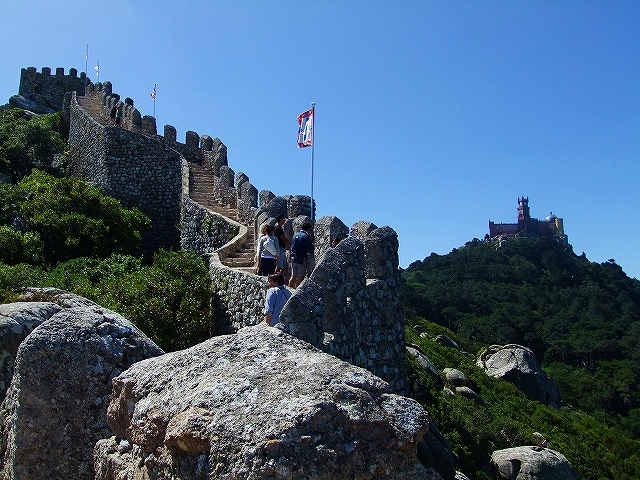 This castle wall ( Castelo dos Mouros )commands a panoramic view of the whole city of Sintra. 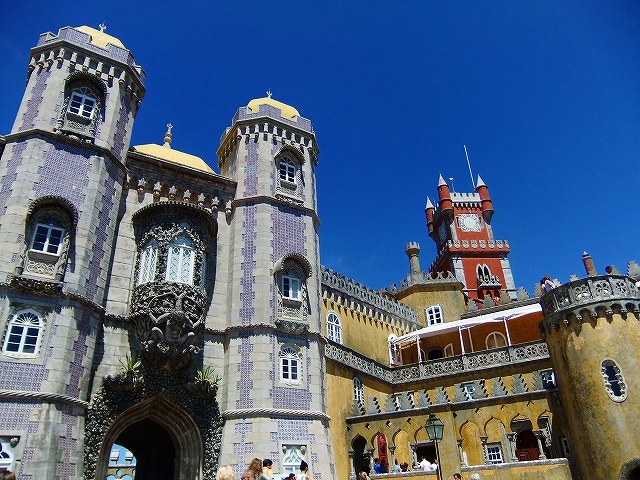 the Sintra National Palace，the Detached Palace in summer. 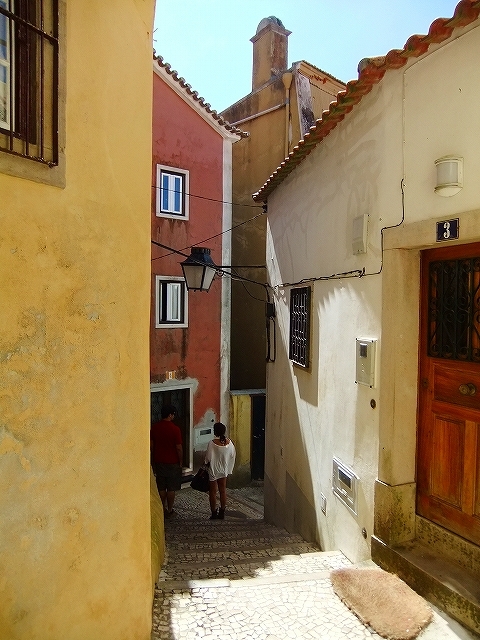 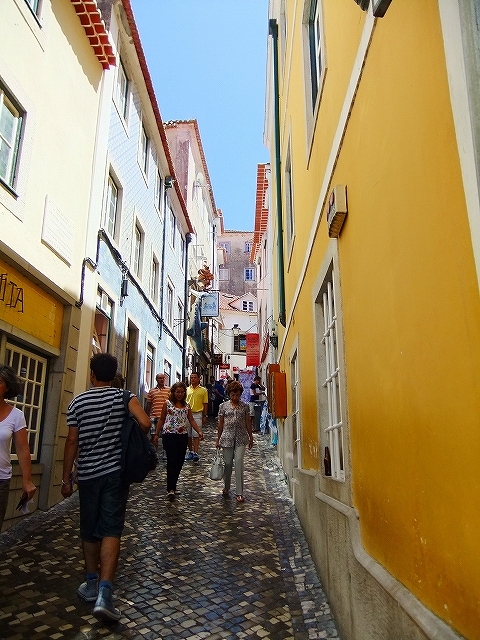 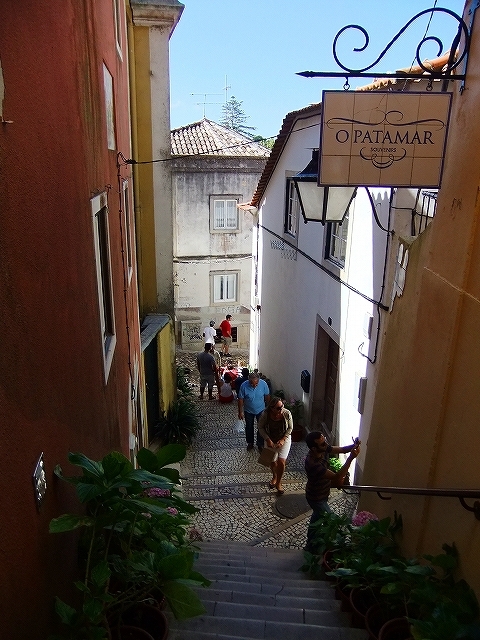 the Romantic alleys in Sintra town. 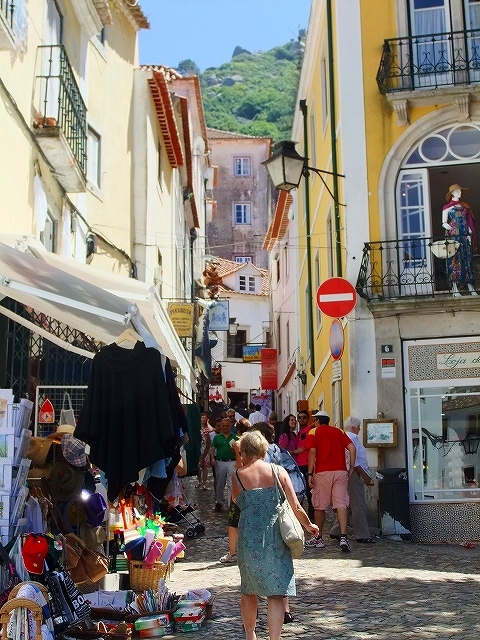 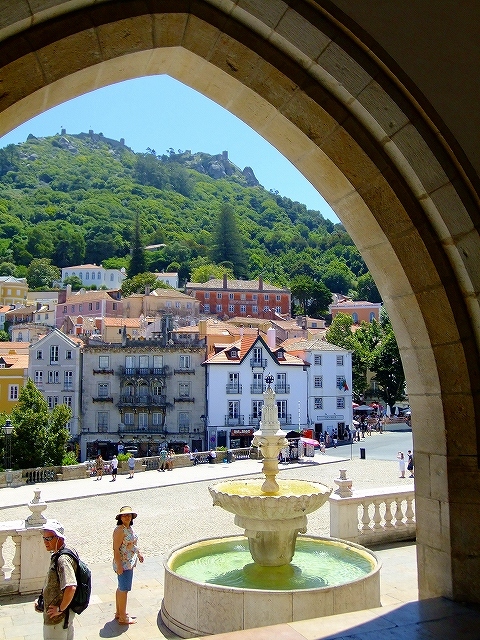 It takes only one hour from Lisbon to Sintra town by train. 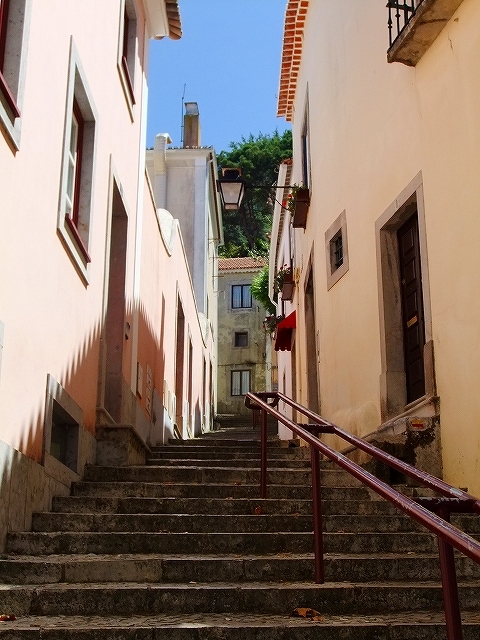 Owing to its 19th-century Romantic architecture and landscapes, Sintra town has become a major tourist centre, visited by many day-trippers who travel from the capital of Lisbon. 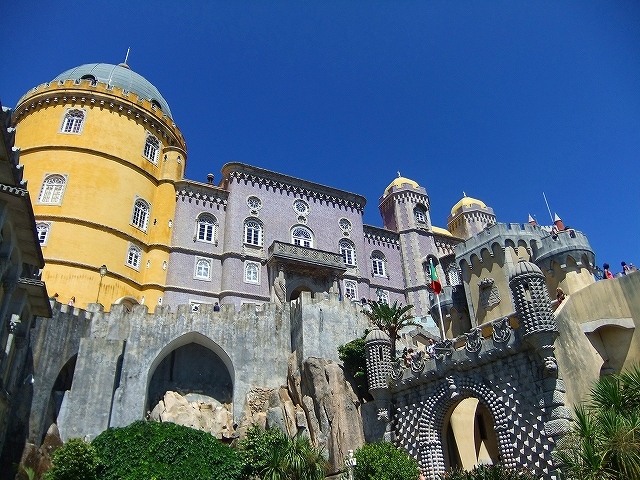 Many buildings completed between the 15th and 19th century, including the Castelo dos Mouros, the Pena National Palace and the Sintra National Palace, results in its classification by UNESCO as a World Heritage Site in 1995. 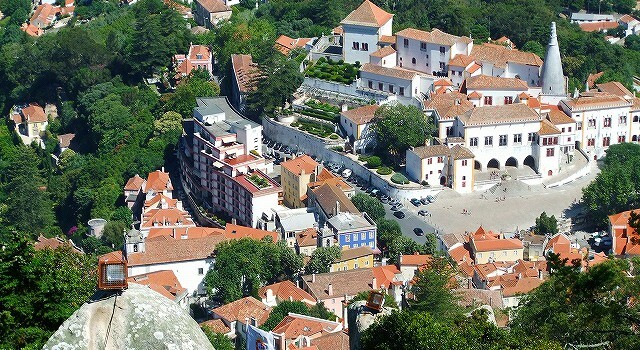 Sintra, Grande Lisboa subregion (Lisbon Region) of Portugal.